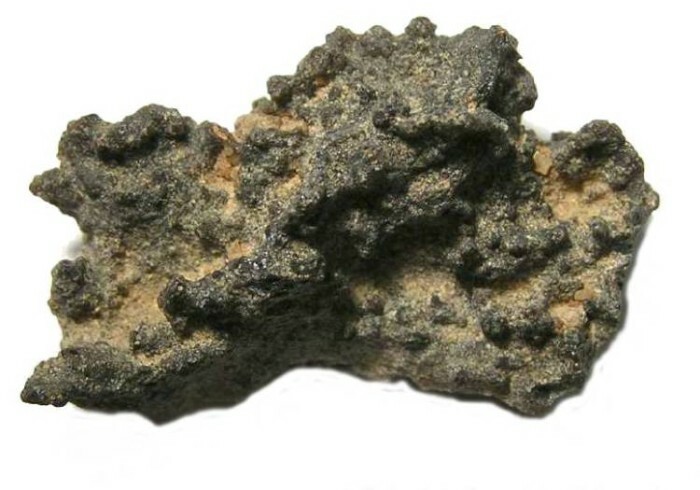 Fulgurite from the Sahara Desert. A fulgurite is formed when lighting strikes sand, and the head fuses the sand into a tube or plate. It is basically a natural form of crude glass with interesting shapes and textures. This particular example was found in the Sahara Desert of North Africa, which is the source of most of the fulgurites available today. Size : 32.3 x 21.6 x 13.5 mm. Most fulgurites form as a tube around the lightning bolt, but many specimens (like this one) are only a half tube as one side either does not form or is broken away. They are actually relatively rare, but very inexpensive examples of natural history specimens.